I distinctly remember sitting in a Lutheran Church in Arizona – well into my adulthood – when I first really grasped the Grace of our Lord’s Gospel. I remember the pastor preaching and it hit me right between the eyes: I was not saved by any amount of my good works… but wait! I thought that was the point of keeping the Commandments? … No, while my obedience was good, it would never be good enough to earn me salvation or somehow to make me worthy of the eternal blessings of God. Those would only be received as a free gift – given by the Grace of God because of the completed and perfect work of Jesus Christ on the cross! I would never be able to be so good as to merit this favor, and I would never be able to be so bad as to be unforgiven of all my sins. Wow. In that moment, I truly felt lighter. And in that moment, this former Catholic perhaps had more in common with Martin Luther than do many life-long Lutherans. Why is that? Because what I experienced – being freed from condemnation of the Law through the Grace of God in Christ (Romans 8:1) – is what Martin Luther personally experienced that sparked the Reformation some 500 years ago in Wittenberg Germany! I can relate to being under the same crushing effects of guilt and shame that drove Luther to spend hours in the confessional as he tried to lead a pure monastic lifestyle through which somehow to attain God’s Righteousness. 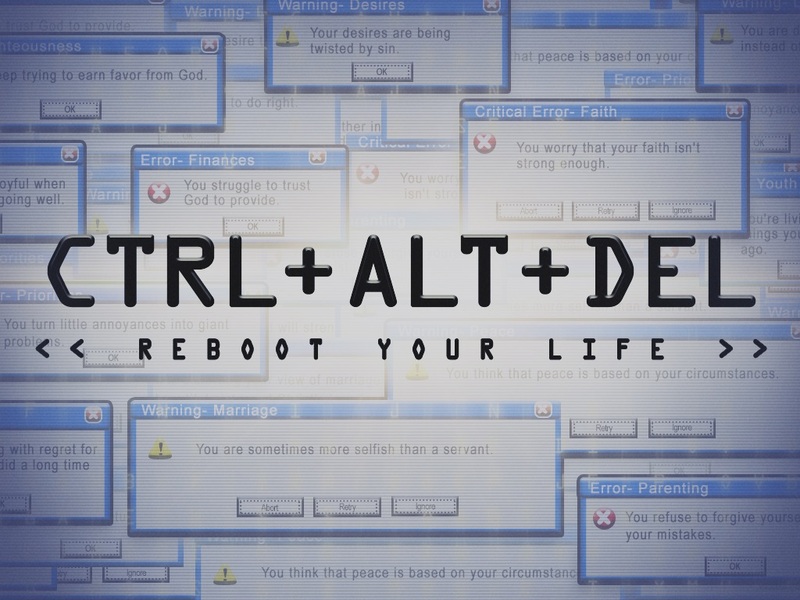 But it was in that struggle, under the fear of condemnation, that Luther stumbled upon the merciful offer of comfort found in Paul’s letter to the Romans. The verse “For in the gospel the righteousness of God is revealed—a righteousness that is by faith from first to last, just as it is written: ‘The righteous will live by faith.’” (Romans 1:17) held special meaning for Luther. This verse used to plague him with fear, because he knew he was not righteous before God, due to his many sins. But one day, the light of the Gospel broke through to him and he saw clearly that Scripture points to the source of the righteousness we need. It is in fact God’s righteousness given to us by faith (faith alone!) not our own righteousness that saves us. And for the struggling sinner – me, Luther, you – this is music to our ears! So with a heart full of renewed hope, Luther set out to release the Gospel from the obscurity it had known under centuries of the Papacy. Such atrocities had developed, that poor sinners were filled with fear believing that they would be condemned for their sin, with no hope other than to pay for “indulgences” with money, or suffer punishment in purgatory – a spiritual sort of waiting room before entrance into heaven. Unfortunately, man loves the darkness, and the Good News of freedom in Christ that Luther shared was not well received by his contemporaries. The rest is “history” as they say. There are a number of good documentaries and even a new movie coming to a theater in our area (see www.luthermovie.link/SanMarcos) that teach about the Lutheran Reformation that began five centuries ago in late October 1517. Our church body, the Lutheran Church – Missouri Synod, even has a website (https://lutheranreformation.org) dedicated to providing all sorts of resources regarding the Reformation. 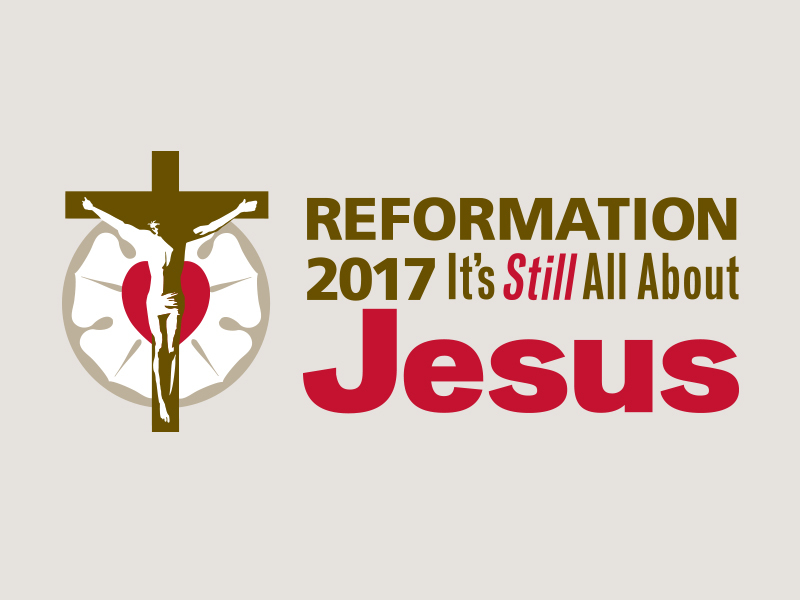 I particularly like the phrase they use for this quincentennial celebration: “Reformation 2017 – It’s Still All about Jesus.” Yes, it has been 500 years since the Reformation; and while many things in our culture have changed in that timespan, one thing has not changed, and that is what the Reformation was about: Jesus. It was about freeing lost, condemned, guilty and burdened souls with the life-giving and freeing Gospel of Jesus Christ then … and it still is now! So as we celebrate the 500th Anniversary of the Reformation at Redeemer by the Sea, we do so not only looking backward – but looking outward toward the lost and hurting people who need Jesus and His Grace as much today as they did 500 years ago! You hear me talk a lot about “mission” … that we are a people who are “Joining Jesus on His mission” to seek and save the lost. It truly is mission-critical work that we are always about – sharing the message of the Gospel with those who need to hear it. Luther did it in his day, in his way, and we do it today, in our way. The people that we encounter today may not be worried about whether they will spend years in purgatory… but they are worried and weighed down with a great many things. And they need to hear about Jesus. As Luther said, “God doesn’t need your good works. Your neighbor does.” Please put the freedom and joy that you experience as a saved soul, certain and firm in your salvation, into action loving and serving your neighbor as the hands and feet of Christ. Even Paul’s great words of comfort in the much-loved-by-Lutherans verses of Ephesians 2:8-9, are followed by this very important verse: “For we are God’s handiwork, created in Christ Jesus to do good works, which God prepared in advance for us to do” (Ephesians 2:10). Fear of God’s judgment doesn’t spur us into mission. No, our freedom in the Gospel does! I believe the best way that we can celebrate the Reformation is to carry on Luther’s work of sharing the Truth of God’s Word with lost and hurting people, relieving their consciences and freeing their souls. Observation (Background): The Book of Hebrews is in many ways a discourse on how Jesus is the fulfillment of all things Jewish. (In fact, Hebrew is not only the language spoken by the Jews, but is another way to refer to the people themselves.) In Chapter 1, the writer shows that Jesus is superior to the angels – He is the very Son of God. Yet, in Chapter 2, He is also human, like His “brothers.” In Chapter 3, He’s portrayed to be greater than even the great patriarch Moses – who in his prophet & priestly role was really just a type & foreshadow of the Christ who would come. in Chapter 4 & 5, Jesus is compared to the great high priest who was chief among Israel’s priests – even greater than Melchizedek, the first high priest who predated the Hebrew people themselves! In Chapter 6, Jesus is shown to be the fulfillment of God’s promises to Abraham (the father & first of the entire Jewish nation) – through whom the world would be blessed. In Chapter 7, by comparison again to Melchizedek, Jesus is shown to be even greater than the Jewish “Law” and the bearer of a new and “better covenant.” (7:22). Through Him, the old covenant now made obsolete (Chapter 8:13). Now here in Chapter 9, Jesus is shown not only to be the high priest, but the sacrifice Himself – able to enter the Most Holy Place by his own blood, and in fact we, His people, are able to enter eternal life forgiven of all our sins by that one and the same blood! Application: I love how this verse (Hebrews 9:28) connects with the sermon I preached just this last Sunday “Who Will Escape Judgment.” It states so clearly – and even more comfortingly – that while indeed Christ is going to appear a second time to judge the world, He is really returning to bring salvation to those who are waiting for Him! In other words, yes – Jesus is going to judge and remove all evil (see today’s Life Journal readings from Isaiah 13 to 15 – the judgment upon Babylon, Assyria, Philistine and Moab is but a “type” and foreshadow of the judgment that will come at the Last Day!) And yes, the unrighteous will “face judgment” (Hebrews 9:27). But perhaps most importantly, God’s holy people will receive the reward of their faith – salvation! We will not only be saved from our sins … but saved from a life of sin in this broken and hurting world! For me, this is just confirmation that those who are in the faith, need not fear Jesus’ return, but rejoice at the promised fulfillment of God’s plan of salvation through Him. Prayer: Lord, help me not to fear Christ’s return, but to look forward to it with hope knowing that my salvation is secure through faith in Jesus and my baptism into His Body. Dear Jesus, come quickly. Amen. The decision of British voters to leave the European Union has been described as “seismic.” Just like an earthquake, there will be several aftershocks, and time will tell the extent of the destruction – whether there will be economic collapse or just rumbling & rattling. Either way, Britain has decided to go its own way. This is not unlike Jonah, who decided to go to Tarshish rather than Ninevah where the Lord was sending him. It makes me wonder – how often do you and I try to go our own way? Where does this leave us? How do we know which way to go? Taking a “vote” is one way to decide. But as we have been seeing more and more at the polls, direction is being decided by such a slim margin: 52-48, in the case of Brexit. We see it in our Supreme Court votes, so often something like: 5-4, 4-3. We see it in the polls for the upcoming U.S. Presidential Election in November: Hillary is out ahead, then Trump. There has got to be a better way to decide where to turn. Let me suggest Paul’s words to the young pastor, Timothy: “Flee the evil desires of youth and pursue righteousness, faith, love and peace, along with those who call on the Lord out of a pure heart.” (2 Tim. 2:22) What if you and I, the British, and the next President were to make our decisions about which way to go based, not on “the evil desires of youth” (which could be anything from outright lust and covetousness – to innocent & naieve ignorance) but instead on righteousness, faith, love and peace? What if we were to choose which way to go by first seeking the Lord and his righteousness (Matthew 6:33)? What if we were willing to put our own selves, with our ambitions and desires, aside and seek the greater good and the Lord’s purposes? We might just find that we would go to Ninevah first! … Rather than make the Lord drag us there. Pray: God, we ask your hand upon the people of the United Kingdom and the European Union. May you make good out of this transition. We ask your hand on American voters & politicians. May we decrease the rhetoric, and increase our pursuit of love and peace. And for each of us. May we seek first your Kingdom and your righteousness, and in so doing, may You increase our faith in You. Amen. Ephesians 2:8-9 is a sort of “rallying cry” for Lutheran churches, and really for all evangelical churches since the Reformation in the 16th century. In short, this is because Christianity had fallen into a works-righteousness mentality – the idea that people are saved and given eternal life because of things they do (works), rather than because of what Christ has done for us (grace). The Reformation sought to return the Church to an understanding that our eternal salvation is not earned by our works, but rather is a gift of God, given to us freely through the merits of Jesus Christ, God’s only begotten Son. Scripture Alone: Most Christian denominations (and some Christian-like churches) say that they are using the Bible in their teaching – and even that the Bible is a source of Truth. Our understanding, however, is that the Bible is our sole source and norm for our teaching and doctrine. That means that we understand the Bible to be God’s inspired and inerrant Holy Word, and as such, we believe that the Bible is God’s means for revealing to us Truth. We may use our intellect, reason and senses, but they are subservient to Scripture. Scripture Alone tells us where we find The Truth. Grace Alone: Left to our own devices, humankind would be lost in sin and depravity; to suggest that we can somehow save ourselves by our own efforts, not only elevates our goodness and merits far beyond our abilities, but it far diminishes the completed work of Christ on the cross. The understanding of Grace Alone makes clear that we are not saved because of any merit or worthiness in ourselves, but only by the divine goodness of God. God has done all that is necessary for our salvation and He gives it to us as a free gift. This gift comes from the gracious heart of God to us. Grace Alone tells us how our salvation is given. Christ Alone: There are many churches that use the name Christ, but when you get down to it, the followers of that belief system ultimately put their hope in something else. There are varieties of things that one might put their hope in – reason, senses, science and self are a few. We believe, however, that the ultimate source of our hope is in the accomplished work of Christ on the cross – nothing else. Christ did all that was necessary for our salvation, and is our living and reigning Lord. Our faith is based on Him alone, and not on any other actions, values or name. Christ Alone tells us the source of our salvation and the object of our faith. Faith Alone: How does a sinner receive God’s gracious gift of salvation? How is a person “made right” with God (justification)? How one answers those questions reveals much about their faith. We believe that there is nothing that we can do to make God love us any more and nothing that we can do to make God love us any less. He loves us because He loves us, and He forgives us because of Christ. We cannot add anything to that equation. We simply receive it by faith. Faith Alone tells us the means by which we receive God’s free gift of salvation. It is my hope that this series will instill you with confidence in your faith, and perhaps give you some tools to use when discussing eternal matters with your friends and family.